Well, we’ve reached the final clue in the OUAT MKAL! There are 2 sections left to finish the cowl, and I decided to combine these 2 sections into 1 clue, that way you have lots of time to finish them since the MKAL is over now! For those of you that have more yardage or chose to do a shorter version, you can add more width to your cowl by repeating sections 3 and 4 as many times as you want, and then finishing with section 5. After you finish this clue, and block your cowl, it should measure approximately 50 inches around and 6 inches wide. Just enough to double it around your neck for a nice cozy winter accessory! The set just doesn't seem complete with out a matching hat, so I have a design in the works for that. Keep an eye on my blog for more info! Also check out my etsy shop because some new and exciting things will be coming out shortly! Well, we are getting near the end, and just in time for the holidays! If you haven't yet joined in on the MKAL fun, head over to Ravelry to get your pattern! For the third section of the cowl, we are going back to knitting the slipped stitch pattern from the first section. The beginning of the row is moved over, creating a new, staggered tab closure. This time though, it is purely decorative, since it will be in the middle of your work! As with the other tabs, you can definitely use a button rather than a bobble, it is totally up to you! Some people have been wondering about how to make the cowl wider. Before I give info on that, I want to stress one thing: you need to have more than 2 skeins of Shepherd Worsted. In clue 4 (section 2), the Star Stitch section, you can definitely add more repeats for a wider cowl, IF you have more yarn than called for. If you aren't sure how much extra you will have, you can wait to the end to widen the cowl. Since it is done in sections, it will be very easy to add more sections at the end, and you can potentially keep going until you are out of yarn. If you are unsure of which way will work best for you, send me a message on Ravelry or ask in the JBW group and hopefully I can help! It’s time for the cowl! Shepherd Worsted is a wonderfully soft and fluffy yarn, and it knits up into a lovely drapey and snuggly cowl. 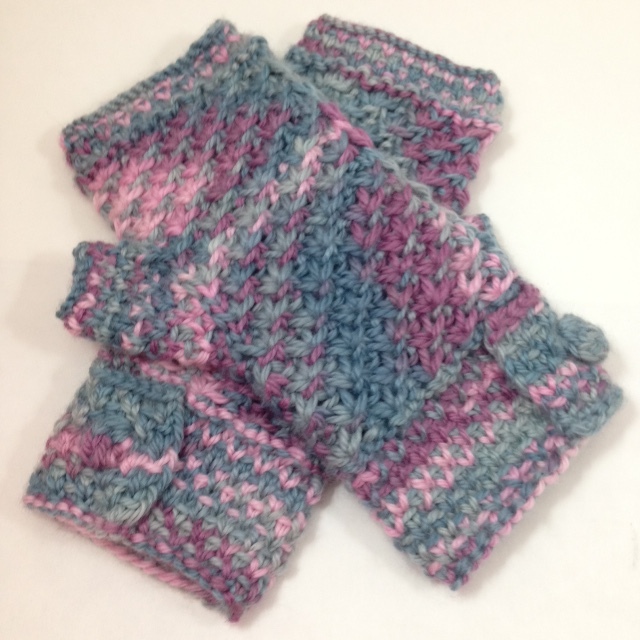 Using similar design elements to the fingerless mitts, it will make a lovely matching set, but don’t worry, there are still some surprises! As with the mitts, there is a bobble, so if you plan to use a button be sure and skip it! The instructions provided make a long loop cowl that measures 48” in circumference after blocking. If you would like to make different size, you can easily make this cowl smaller or larger. The trick is to add or remove stitches in quantities of 4. For example, if you would like a short cowl that is 24" around, simply cut the cast on number in half, and then choose the closest number that is divisible by 4. If you want a size that is somewhere in between, than as long as your cast on number is divisible by 4 than the cowl should work just fine! Also, if you don't want to change the cast on amount, but would like a wider cowl, it will be easy to do so at the end of the pattern. Feel free to pm me on Ravelry or email me if you need help with this, my contact info is at the bottom of the pattern! Happy knitting on clue 3 everyone! Don't forget to head over to the JBW Ravelry group for chat, spoilers, etc! Also, I have a line of hand dyed yarn on Etsy, feel free to check it out! Good Morning everyone! The first clue for the Once Upon A Time is now ready to download! You can get the pattern on Ravelry, and if you would also like to use the special Frozen Upon A Time color way it is available at Jimmy Beans Wool! We will begin the MKAL with the left mitt. 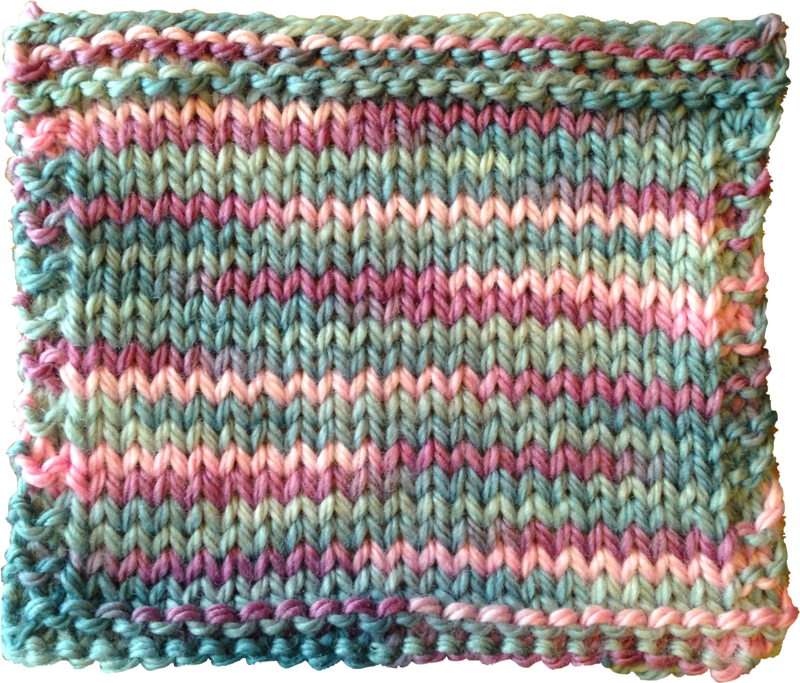 The cuff is knit flat, using a slipped stitch pattern that helps break up the variegated color. The edge of the cuff is closed with a bobble, or if you prefer, you can skip the bobble and sew on a button! Given the Frozen theme, I think snowflake buttons would be adorable! The bobble looks super cute too, and it is a good way to close the cuff of the mitts without the added expense of the buttons. The body of the mitt is worked primarily in star stitch, which I chose because it looks like snowflakes! It is a very squishy and puffy stitch that has a lot of texture, which is also something that we see a lot of in the knits that the characters on OUAT wear! Keep in mind that because of the way the stitch is worked, you will end up shifting your stitches around on the needles on each pattern row. Now, I know some of you would like to size the mitts up or down. This will be super easy if you add or remove stitches in quantities of 8. You can follow the pattern as written, except in the gusset. During the gusset set-up row, you will do less or more repeats before placing the markers, depending on how many multiples of 8 you add or remove. For example, if you remove 8 stitches, you will then do the repeat one less time. You also will want to repeat the gusset less times to have fewer stitches for a smaller thumb. For questions on sizing head over to the Ravelry group, or email me (my email address is on the pattern)! I'm so excited to kick this MKAL off, and hope you guys enjoy knitting and watching the show. I know I will! 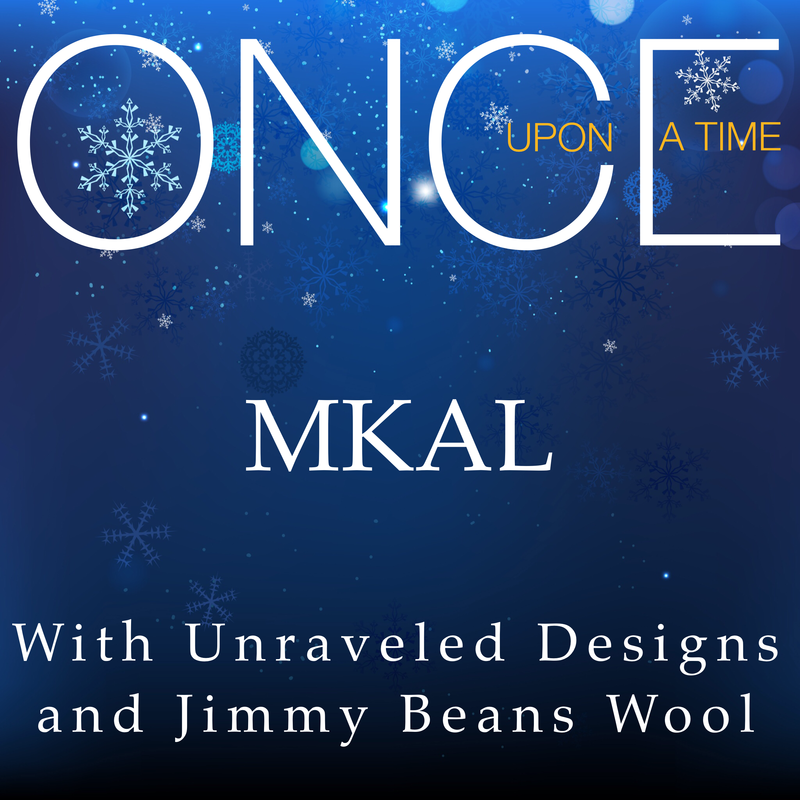 Announcing the Once Upon A Time MKAL!!! Well, I had so much fun hosting the Outlander MKAL, that I'm doing it again! 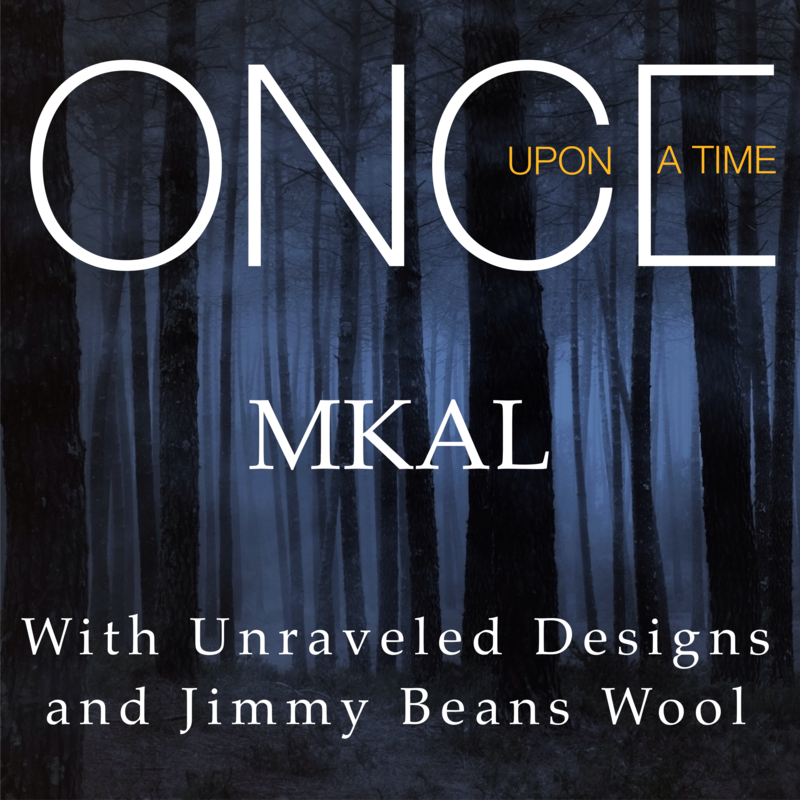 Join me and Jimmy Beans Wool for a Once Upon A Time MKAL beginning on October 12th! Head over to Ravelry to download your copy of the pattern now, and then to JBW to get the October '14 LLE color: Frozen Upon A Time! Once Upon A Time was an instant favorite of mine when it started a few years ago. I mean, fairy tales, magic, and Prince Charming, what’s not to love! And when Elsa, from Frozen, made an appearance at the end of last season, what was already an awesome show got even better! I might be a grown woman, but I love Frozen, and I am so excited to see how they will work those characters into the Storybrooke plot lines. This mystery knit-a-long will consist of 6 clues, released weekly on Sundays, beginning on October 12th. We are knitting a pair of fingerless mitts with a matching cowl, and you will need 2 skeins of Shepherd Worsted, or 450 yards of worsted weight wool. The mitts will need approximately 140 yards, and then the cowl will use the rest! I have been inspired by the squishy textured accessories we see the main characters wear, as well as the addition of the Frozen girls to the plot this year. Be sure and check out the Frozen Upon A Time color way available from Jimmy Beans Wool! This accessory set will be great to keep for yourself, or give away as a gift this holiday season! Interested in seeing how the lovely soft blue-greys (for Elsa) and the pink-purples (for Anna) in Frozen Upon A Time knit up? Here's a swatch, in the Shepherd Worsted. There is a bit of pooling, as is to be expected with a variegated yarn, but the colors look lovely together. I've also used specific stitch patterns to help break up the pooling in the pattern. Don't forget to head to Ravelry and grab the pattern now, it will be half price for the duration of the MKAL! For those of you interested in trying out my hand dyed yarn, don't forget to head over to my Etsy store before the end of the month for 20% off of all purchases using the coupon code: IHEARTSEPTEMBER!